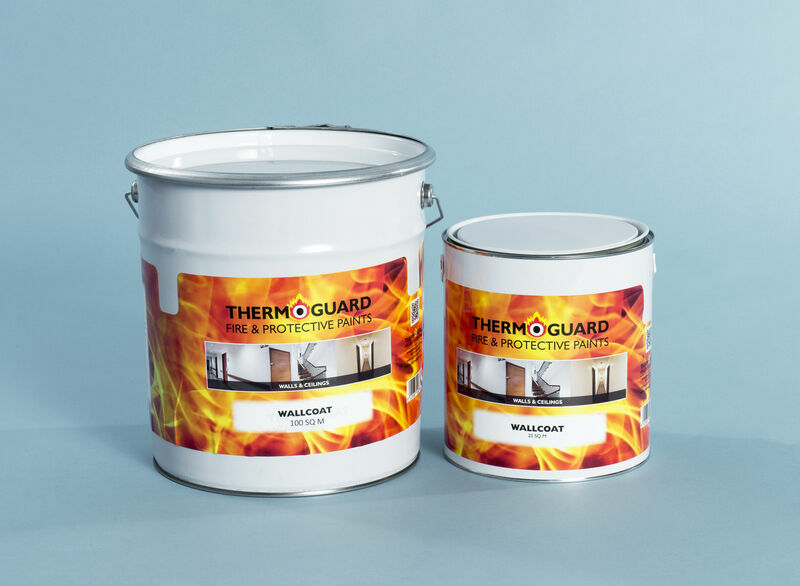 Timbercoat SFR is an Intumescent paint with smoke and flame retardent properties for upgrading potentially dangerous multi-layer previously painted timber Controls srface spread of flames and fire propagation to Class O and EN Class B total smoke control. 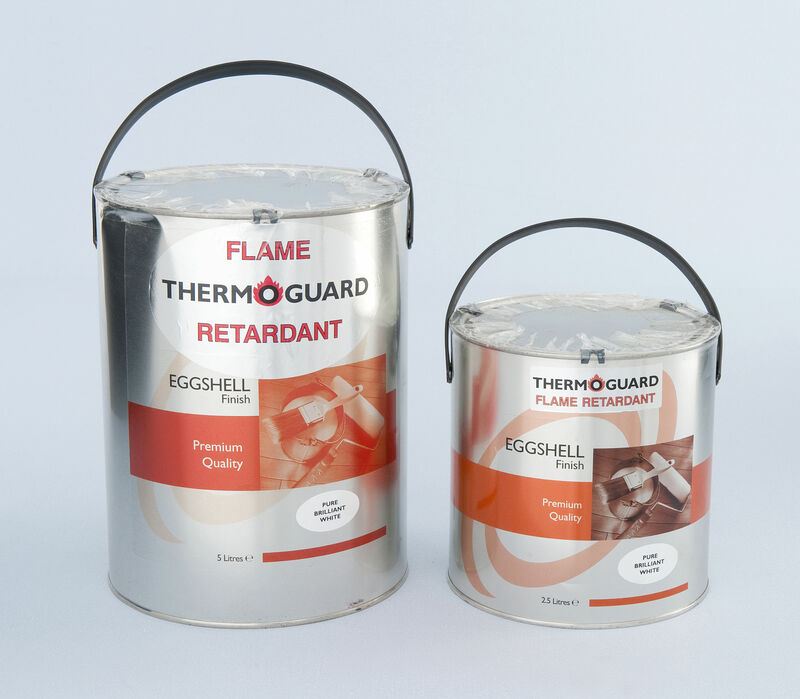 Thermoguard Timbercoat is an intumescent paint for use on bare or previously painted timber and wood derivative surfaces to retard surface spread of fire and provide vital escape time during a fire. Fire proof paint systems include a variety of intumescent coatings for specific substrates and flame resistant top coats for fireproof paint or varnished finishes. Systems using an intumescent paint base offer passive fire protection for wood and structural steel. How do fire proof paints work? Intumescent coatings undergo a chemical reaction in the event of fire. 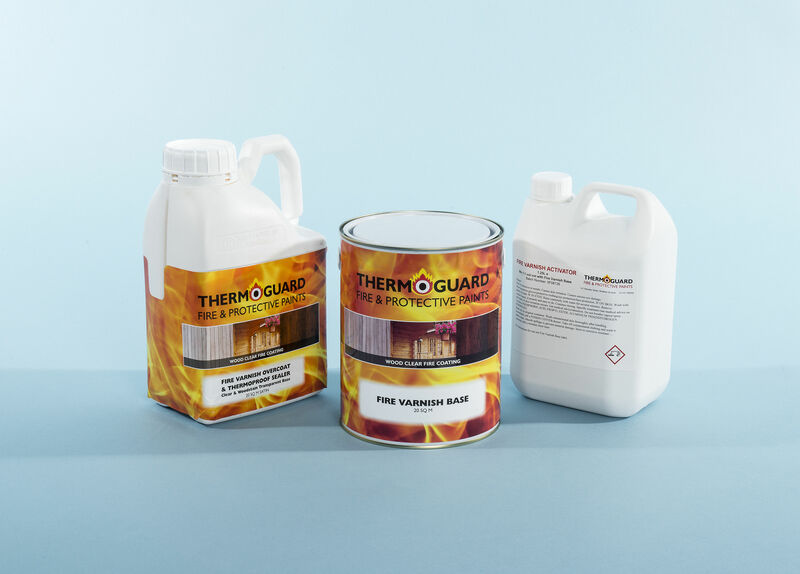 The advanced formula fireproof paint expands up to 50 times its thickness to form a foam-like insulation layer that protects the underlying material from elevated temperatures. This protective char layer keeps steel within its critical service temperature range and delays inflammation of combustible timbers by reducing heat propagation and the spread of flame. Can I paint on top of intumescent paint? Fire protection paint and flame retardant varnish finishes can be used on an intumescent base coating to provide options for high quality durable decorative surface whilst meeting building regulations for fire protection. When subjected to high temperatures in the event of a fire conventional paint systems will break down and encourage fire spread. Flame proof coatings efficiently check or even prevent the spread of flame and fire. How do I get fire Certi­fica­tion? Keep proof of purchase along with batch numbers of the fire resistant products used together with site details and usage data. Contact our customer service department and they will arrange the relevant Certificate of supply. Twistfix supplies intumescent coatings and fire proof paint finishes that meet the appropriate parts of BS476 for passive fire protection.